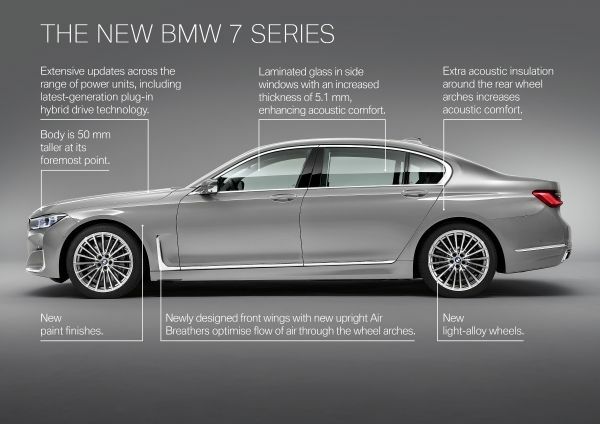 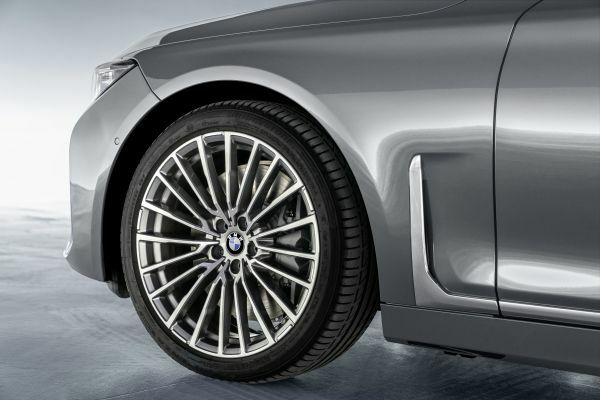 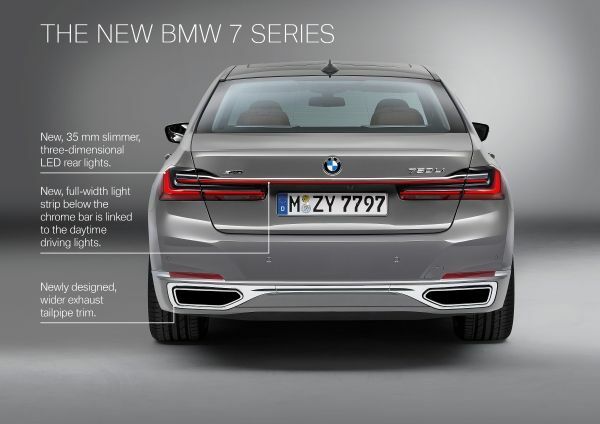 BMW is pleased to introduce the revised version of its most successful 7 Series to date. 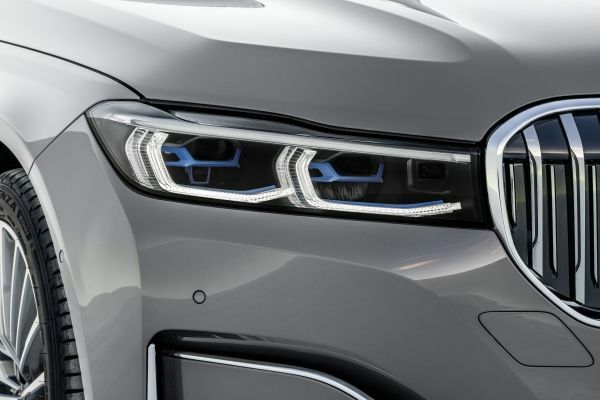 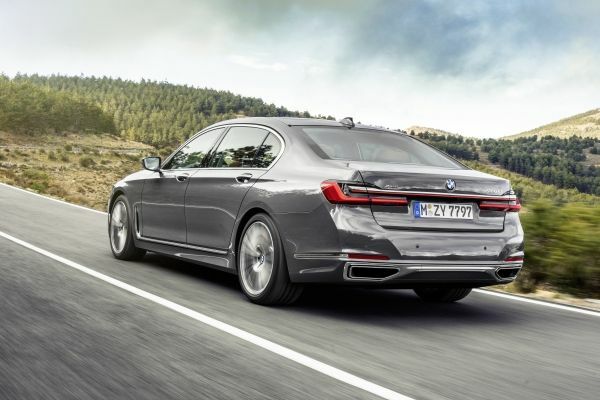 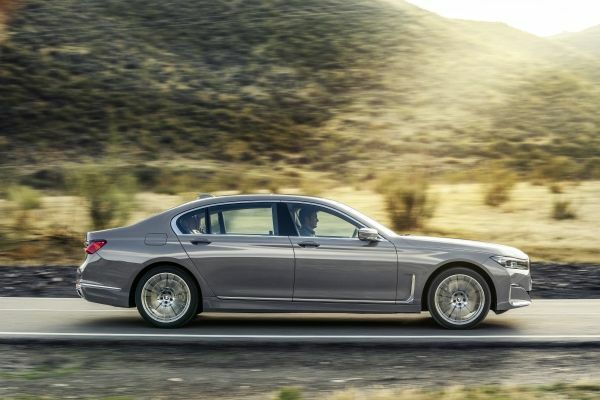 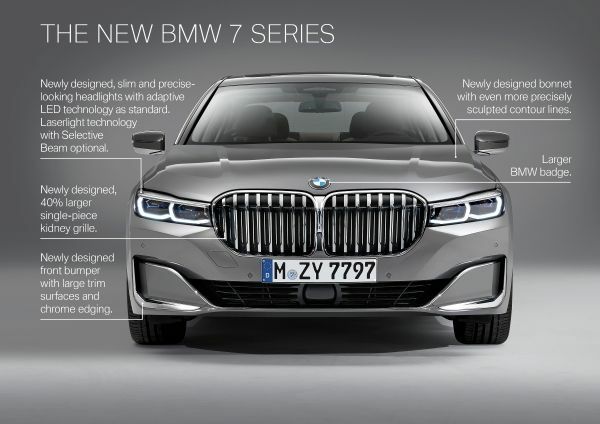 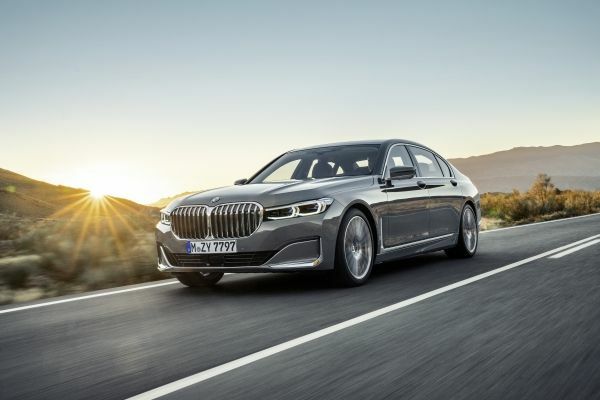 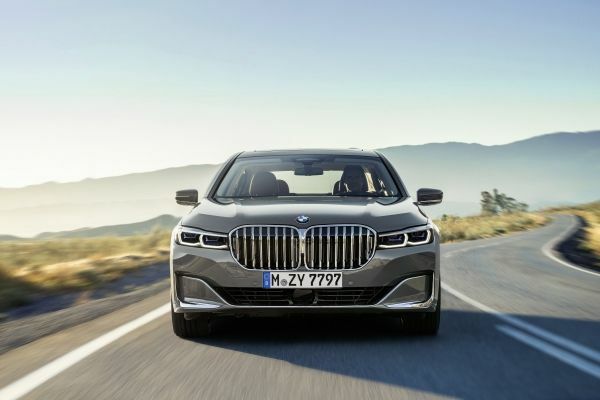 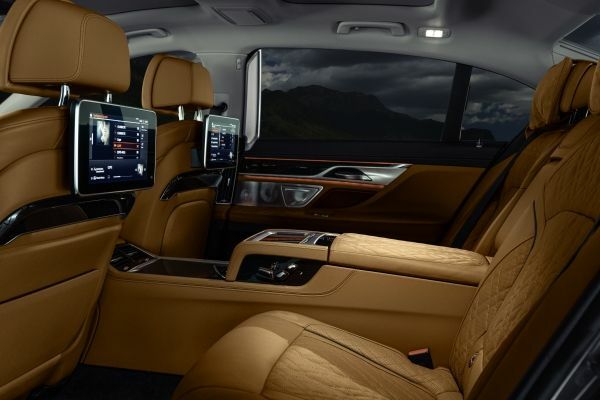 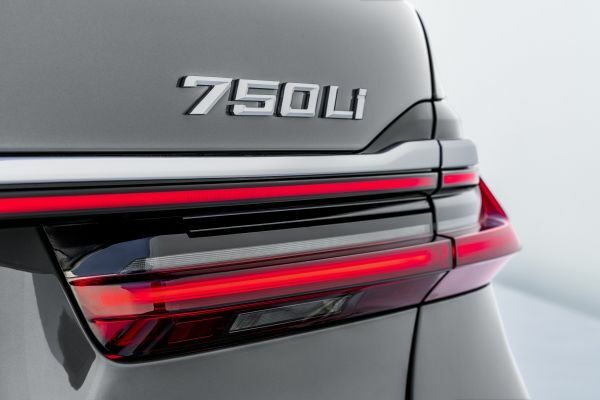 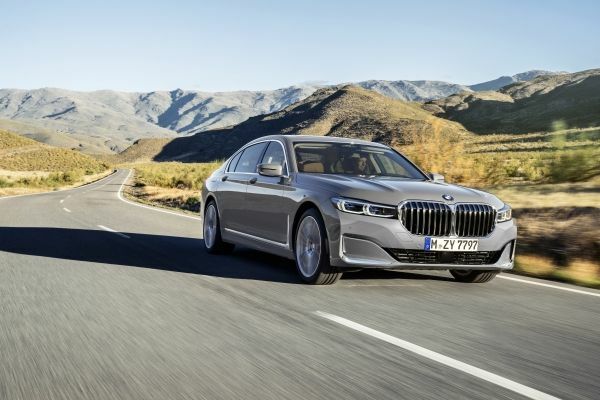 The 6th generation of the luxury sedan receives extensive updates in design, technology and powertrain to enhance the BMW 7 Series’ class-leading luxury model lineup. 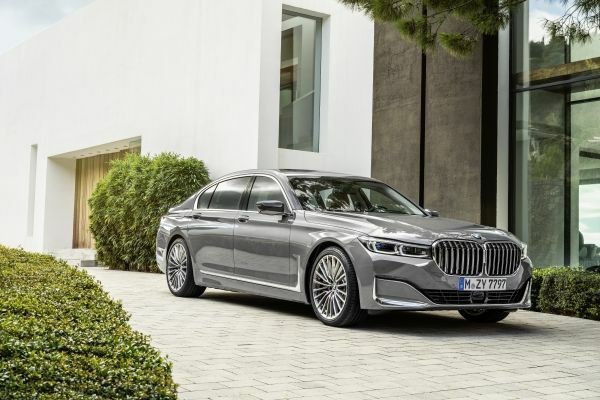 Redeveloped, turbocharged 8 and 12 cylinder engines will be joined by a new 6-cylinder plug-in-hybrid variant when the new BMW 7 Series goes into production this March. 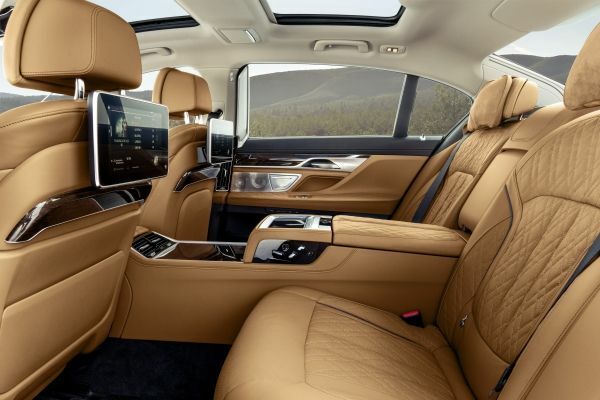 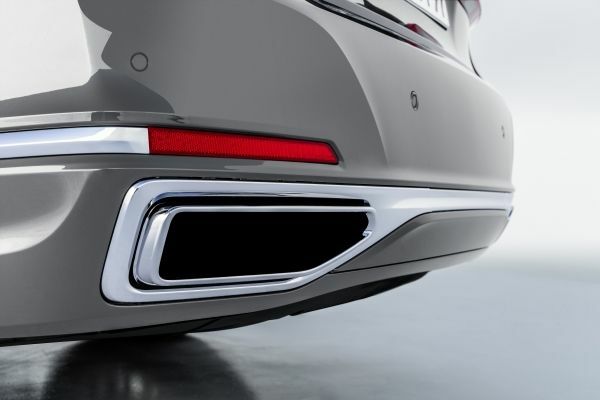 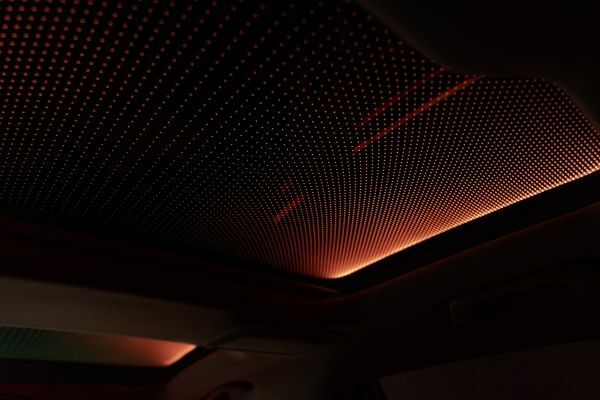 Modern exterior design elements enhance the presence of the vehicle while the interior receives touches that upgrade the ambiance of luxury to new levels. 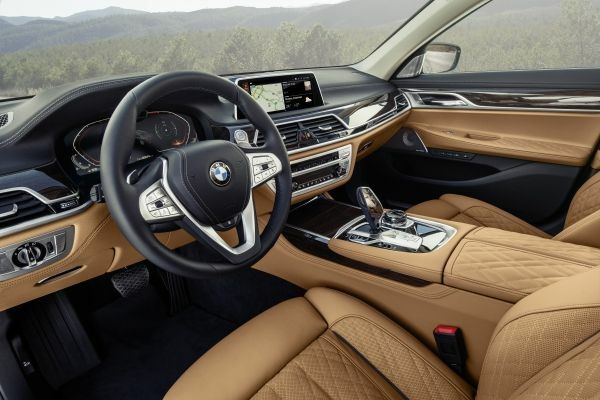 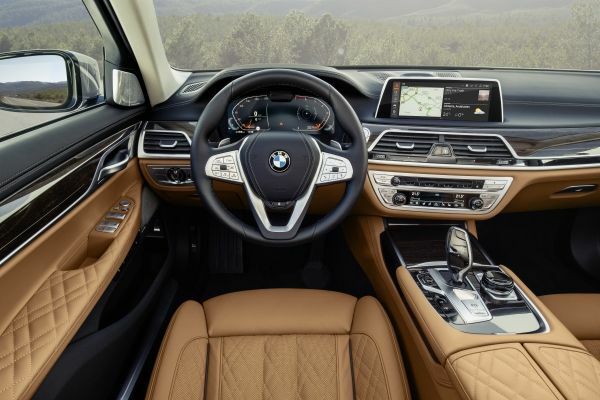 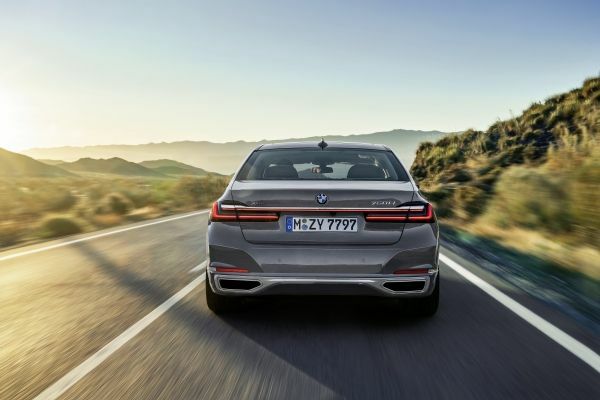 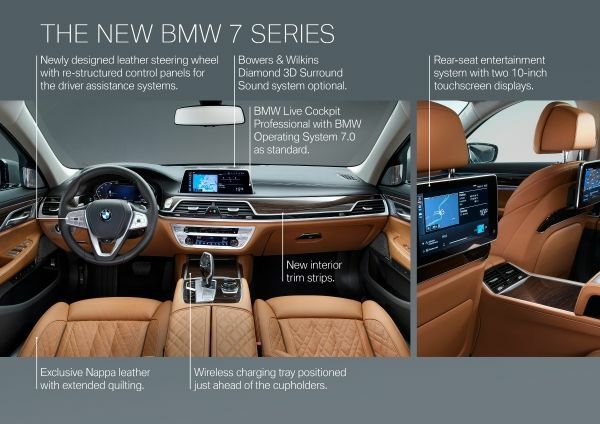 The iDrive 7 system along with Mobileye interior camera and available Driving Assistant Professional bring BMW’s latest technology to the brand’s pinnacle luxury sedan.